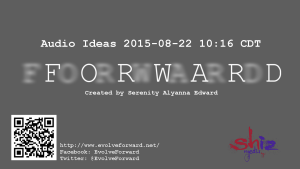 Our fifth recording of the ideas of FORWARD, Forward Audio Ideas 2015-08-22 10:16 CDT. We will use these recording to help us remember the story line. 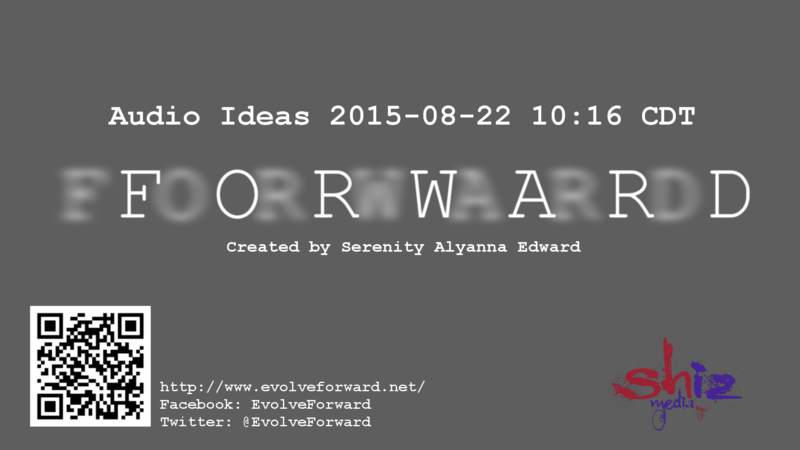 The ideas are coming to our heads and our fingers aren’t fast enough, so recording is the best way to archive our ideas.